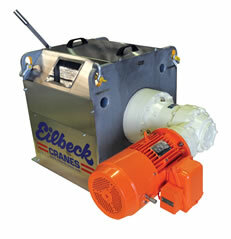 The Eilbeck Cranes winch team in Sydney Lancaster Machine Shop has successfully manufactured these winches for Kangaroo Creek Dam in Adelaide South Australia. 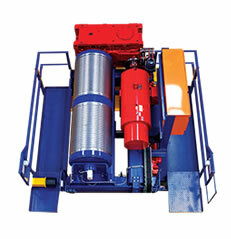 The winches are special man riding winch used to pull slip form and finishing platform with people riding on it. 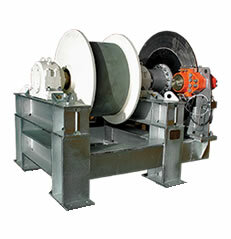 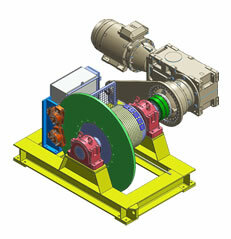 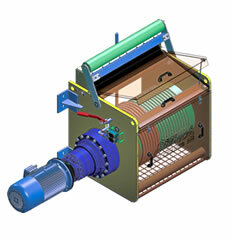 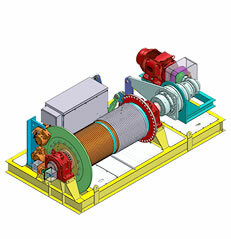 These 15t winches have 80m active ropes on the drum and 100m overall rope length. 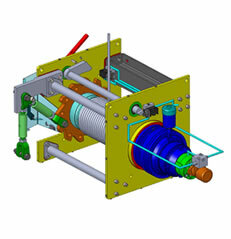 Winches were tested at 8.5 tonnes capacity for the full 60m travel at this line pull and the 15 tonnes at intermittent travelling in increments around 100‐150mm that is to run over extended time periods. 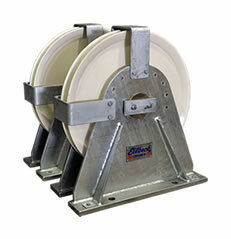 All installed brakes are failsafe so if power is lost for any reason they will be automatically applied.